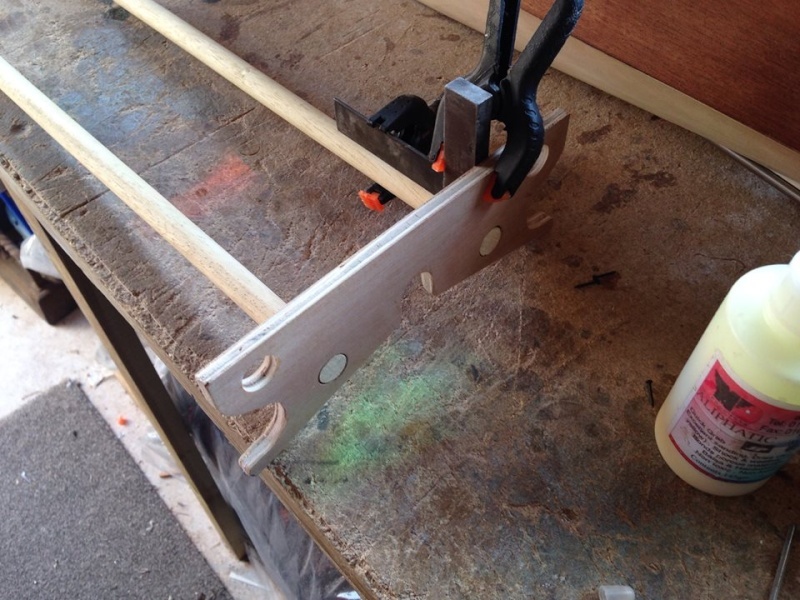 Someone a while back asked me to demonstrate how to make a boat stand, today I've taken it upon myself to finally after much promise to make a post on how to make a boat stand. The stand I've made is all made from scrap ply and a bit of pine doweling, its not a pretty stand by any means just simply an demonstration exercise. although I needed a new stand for the current project I'm currently working on this will become my template for that boats final stand later down the line. 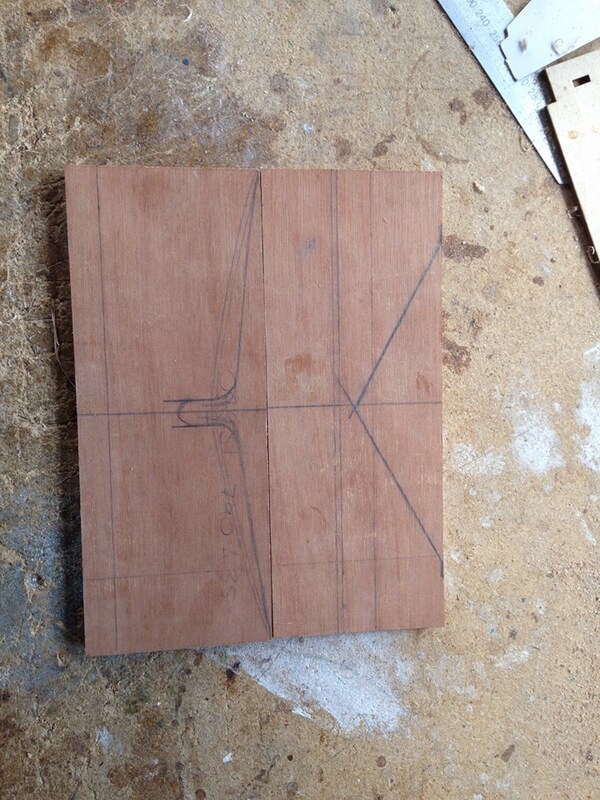 Next job is mark up on the blank the centre point, this is where the KEEL of the boat should later be in line with. after you have found the centre point you have to get the hull shape of the boat. I normally opt to make a cardboard template of the hull, this is good method to practise with.. however this time I've opted to use some brass wire and bend it to the hull shape in the locations i wish to have the stand supports... in this case 3500mm apart. 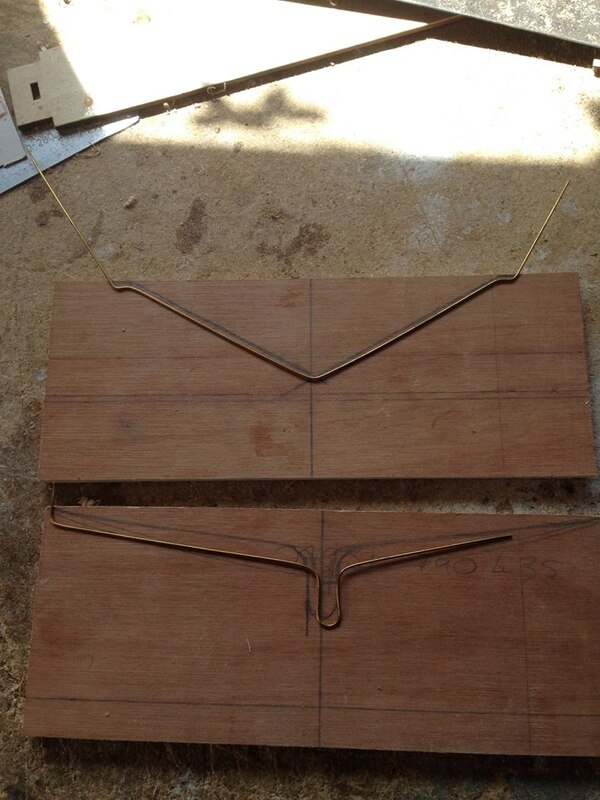 then simply trace the shape of the brass wire onto the blanks TOP edge.. 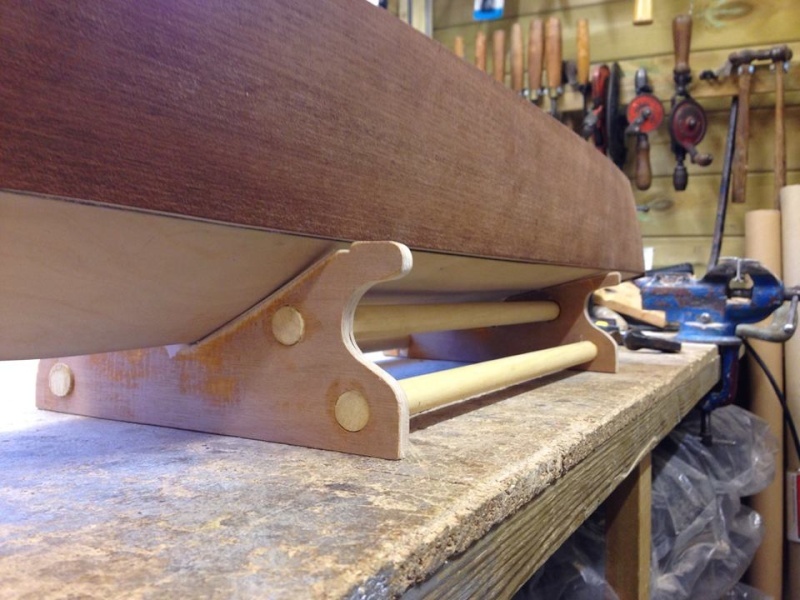 However this boat is not overly heavy and as i only want the uprights as templates for later i've opted to use the dowling to secure the uprights together, adding to its attractivness. but for now until that point to make the sides pretty and less blocky, i've make up a cardboard template for a shape i like which i've transferred to the 2 blanks. 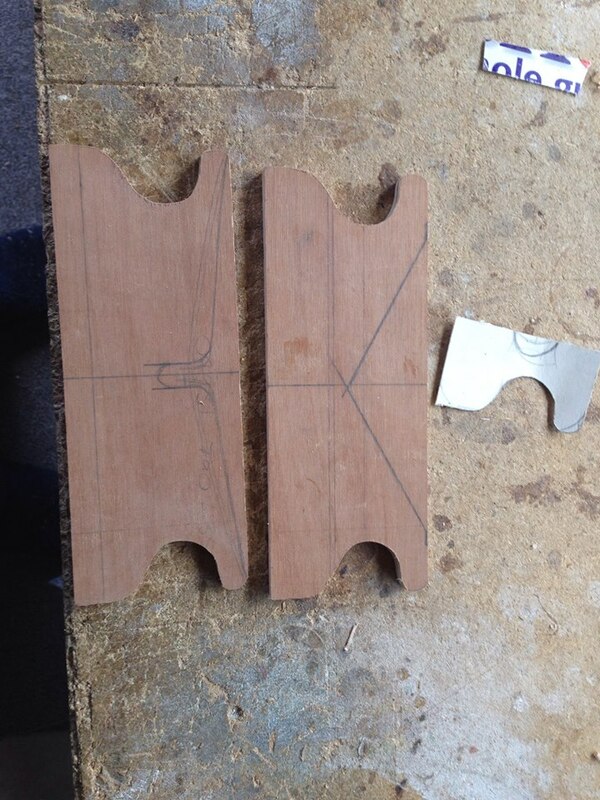 Then cut BOTH blanks at the same time using a fret saw, this ensures the cutouts are the same and then in this case as i'm using doweling to secure the uprights together drill out 4 holes to take the doweling. 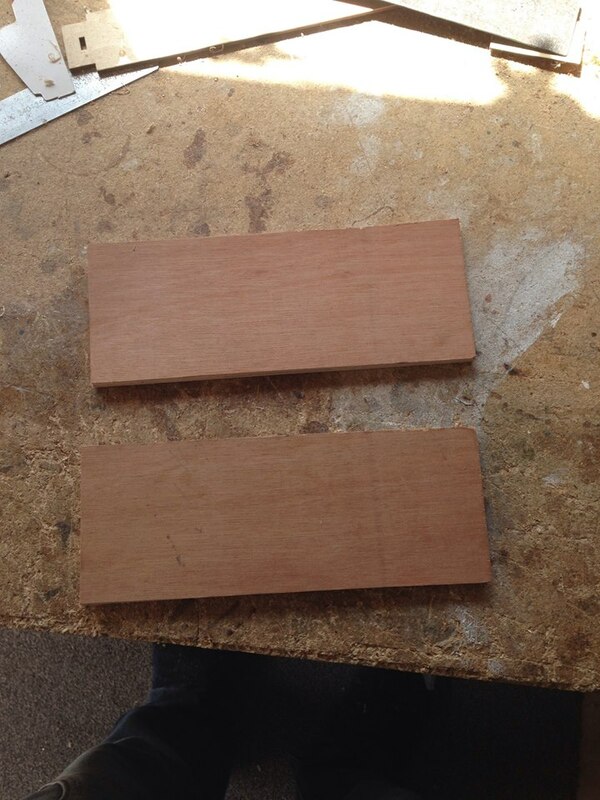 Once the cutouts are done you can now cut the hull shape from the blanks. take your time and be sure once they are cut to keep checking them to the hull and there location on the hull to ensure they fit snuggly, but allow for a spongy pad to be stuck to this edge later,. so slightly over size is good. 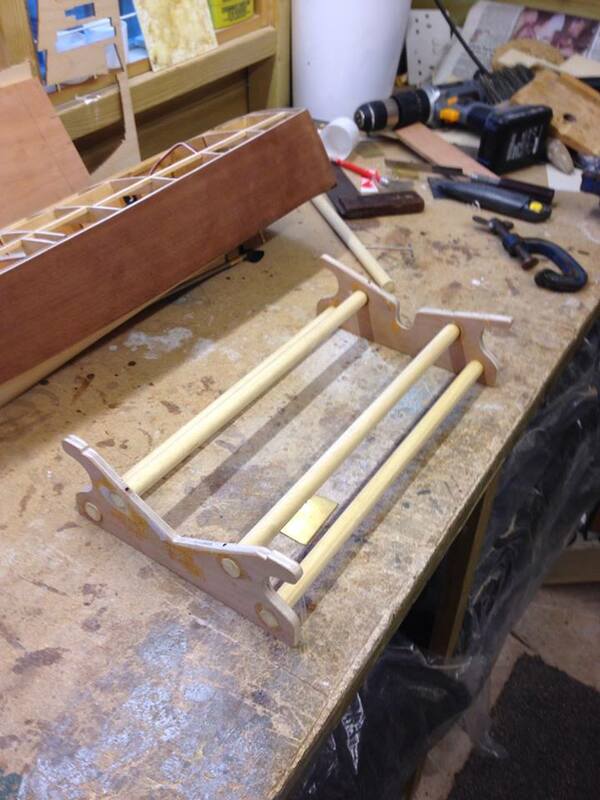 Once you have the 2 uprights finished, sanded etc you can now cut the doweling to length. 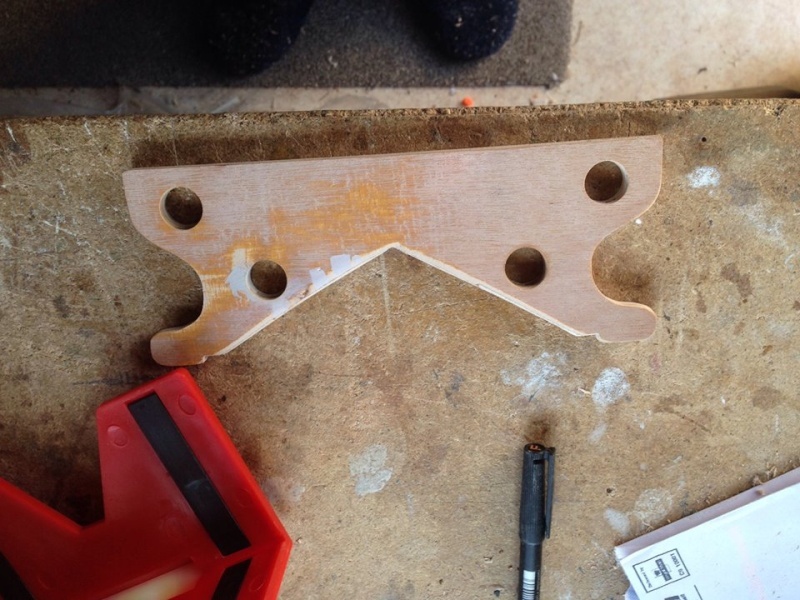 now remember here its 3400mm between the upright spacing, so always Check your spacing for your own uprights, because if the spacing is wrong then the uprights you just cut out may not fit the hull shape. 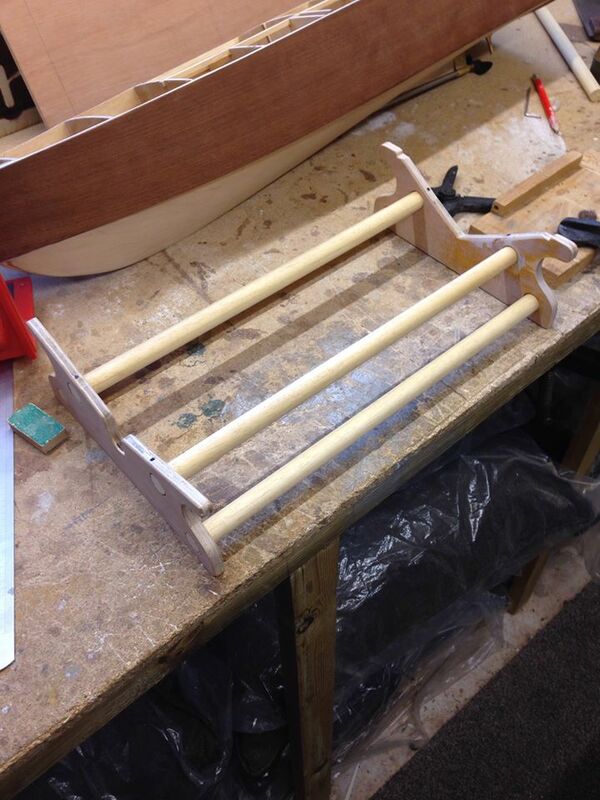 Then you can glue 4 dowel rods into one of the uprights. if the holes are tight enough you only have to tweek them to square them up. be always Check SQUARE on both X & Y axis !!! Then you can glue the other side on. If you got it right the boat should sit on the stand LEVEL, Square and look rather good. if yout still worried that the stand may collapse you can screw the uprights to a base board if you desire. ( i always do as i make up boat boxes so a base is actually required! Now as i said this stand is a template for a final one for a current project, the finished one will be much prettier and in mahogany or ebony. however this stand with some filler, primer and a few coats of paint would look equally attractive and being made purely out of scrap material costs pretty much next to nothing to build. This is as I said one of many ways to make a stand, this demonstrative is how to make a simple attractive one so I hope it helps! i like your method RR..............mine usually fall apart within weeks, lol.............they look substantial indeed.